All professionals have one thing in common and that’s understanding the importance of customer service. How customers are treated can directly affect any business. Whether your profession required a college degree or several years of certified training, you are an expert. A true professional knows customers may pay for skill, but its excellent customer service that brings them back. Listen: When a customer wants to talk about their car trouble, let them. It can help clue you in on new details. When our attorney’s listen to auto techs, we learn more about their situation with the California Bureau of Automotive Repair. It can help us with problem solving. Empathize: Customers appreciate auto mechanics who have an empathetic ear. The customer is frustrated because they can’t get to work, pick up their kids or drive to their dental appointment. Their normal day is disturbed. 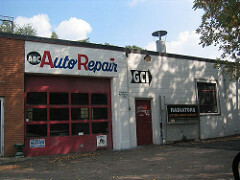 The same happens to SMOG check stations who receive a citation from the Bureau of Automotive Repair. They have to put off normal business to deal with the problem. If you just received a SMOG citation then you know that feeling of dread. This is a time where you need a BAR defense attorney with empathetic customer service skills. Take Action: A good mechanic knows time is important. After evaluating the car trouble, you get to work! Great customer service skills mean offering a reasonable timeframe to complete the job and follow through. The longer it takes to solve the problem, the more stress a customer has to experience. Nobody wants that. We don’t either. When you get a citation from the Bureau of Automotive Repair, we will take action! Communicate Clearly: Sometimes Murphy’s Law takes over and things change. Maybe that weird sound the car is making has become a larger problem than imagined. When things change, the best course of action is to contact the customer immediately. Don’t ever hide a problem or put it off until later. Even if it’s bad news, customers need to know so they can have some control over how to move forward. If there’s been a change, our Bureau of Automotive Repair lawyers will contact you immediately. We want you to stay aware of how your STAR rating or CBAR citation has come along. When someone is in trouble, they want to find the best professionals with the best customer service skills. Successful Bureau of Automotive Repair lawyers and auto and SMOG technicians understand the importance of great customer service!